QuestMark, a division of CentiMark Corporation, is the leading provider of epoxy and polished concrete floor systems for the commercial, industrial and retail markets. We offer quality workmanship and work with best-in-class suppliers for materials. At QuestMark, we’re dedicated to customer service. We can work on your floors days, nights, weekends or during plant shutdowns. We have a comprehensive Safety & Risk Program to ensure a safe workplace. Our QuestMark associates are well-trained in safety, equipment and materials. 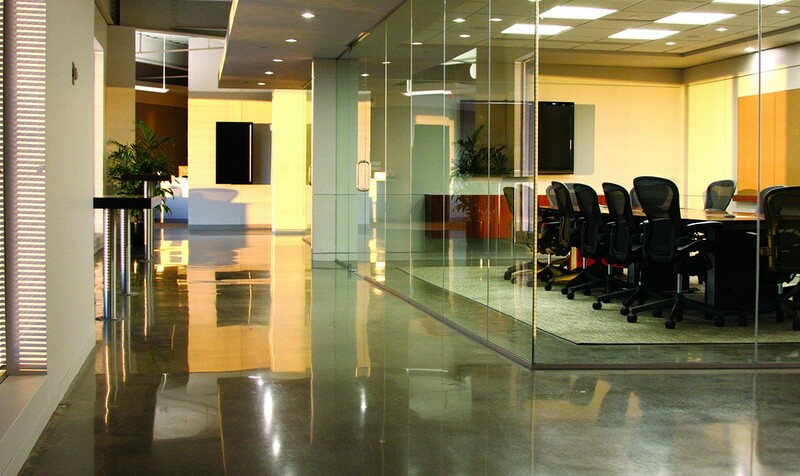 Polished concrete is a revolutionary way of creating a sheen on concrete floor surfaces without using coatings. DiamondQuest polished concrete is a multi-step process of progressively finer grinding concrete floor surfaces through the use of diamond-polishing equipment. The benefits are a floor with a quality sheen and the ability to inhibit water and contaminants from penetrating the surface. Change the life of your floor. Wow your customers. Boost employee morale.